Seeing as the Macy's Thanksgiving Parade has passed us by, we're reminded of the true meanings of the holiday season. As nice as joy and cheer (and the birth of Jesus Christ) is, it's important to remember the age-old practice that brought Christmas markets and Black Friday straight down the chimney and into each and every household. Always in-season, it's as gaudy as tinsel and enduring as last year's Christmas decorations. That's right, folks: Consumerism. Better yet, good ol' fashioned American capitalism. All hail the almighty dollar, because even the Paris Metro map tells you just where our lovely city stands: Literally between Versailles and Disneyland. 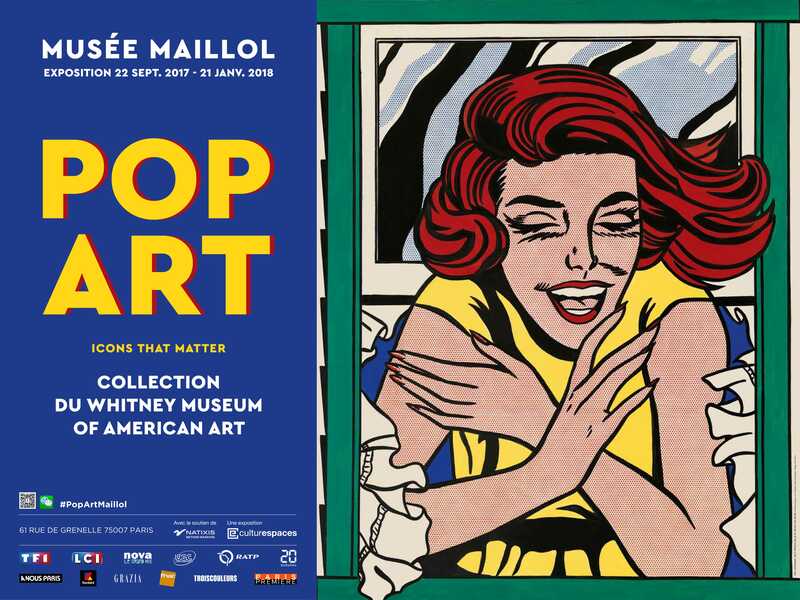 Ushering in the "epitome of modernism" is the latest hit at the Musée Maillol, Icons That Matter. Setting itself apart from both Parisian art and the museum's own permanent collection, this collaboration with the Whitney Museum of American Art in New York is quintessentially American, with its goal to offer insight into the "American way of life, in order to celebrate and criticize it at the same time." Consisting of over sixty works spread across two floors, this collection pays witness to the cultural icons that helped define the latter half of the twentieth century in one convenient "consumer package." Because of its mass-produced nature, famed artist Roy Lichtenstein once said that Pop Art "won't be American; it will be universal." 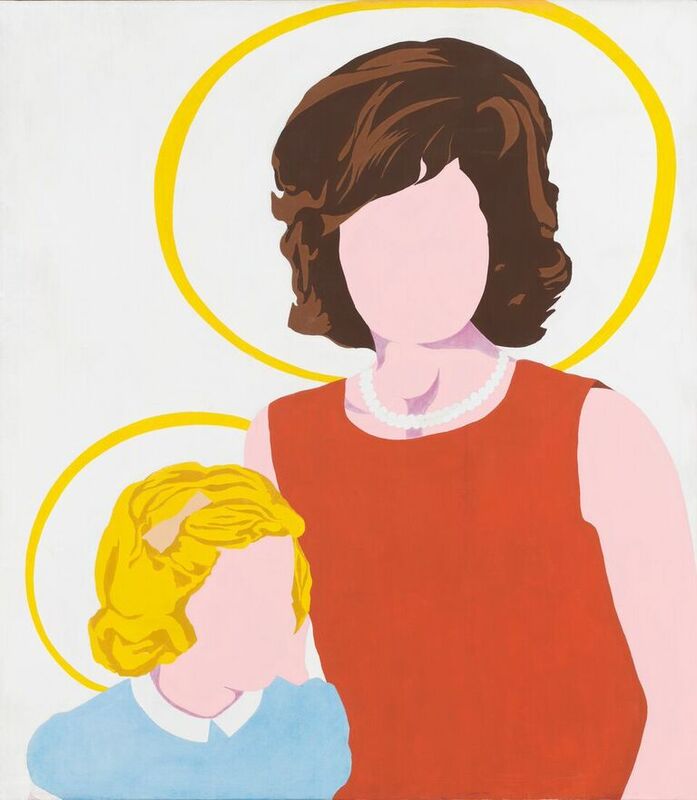 The embodiment of such is found at the exhibition in Allan D'Arcangelo's Madonna and Child (1963), a portrait of Jackie and Caroline Kennedy. Its cultural relevance is self-explanatory in the title—based on one of the most well-known themes of Christian iconography, and by extension, Western artwork itself. By removing distinct facial features in favor of abstraction, the painting embraces the "catholic" (i.e. universal) nature of the "American people's Madonna," with the Kennedys' Catholic association only further driving the irony home. With the flexibility ranging from Robert Indiana's faith that the American Dream is "optimistic, generous, and naive" to Andy Warhol's belief that "Making money is art," there is method to the American pop culture madness. Amazingly enough, the four distinct sections seamlessly manage to blend the "Bodies of Pop" Sexual Revolution with a giant soft sculpture of Claes Oldenburg's French Fries and Ketchup (1963). From a miniature of Indiana's famous Love (1970) sculpture to the lithograph #28 of 250 from Warhol's Marilyn Monroe (1967) series, Icons that Matter depicts the modern (art) world as we know it. On display until January 21, 2018, regular and reduced tickets are 13 euros and 11 euros respectively, with the youth rate (under 25) at 5 euros. The exhibit is open daily from 10:30 AM to 6:30 PM, with a late night opening on Fridays until 9:30 PM. Also open during these hours is the accompanying gift shop because nothing says "American capitalism" quite like paying more in souvenirs than the entrance fee itself. On a similar note, the trimonthly publication America attempts to "help French readers make sense of the U.S.," especially in the wake of the 2016 Presidential Election. Proclaiming itself as "America like you've never read it," the magazine is sold at select locations throughout the country, which can be found on their website. Following the age-old French tradition of satire (i.e. crudity), you too can enjoy this coffee table read that proclaims "the ideology of the 'self-made' man becomes paranoid, racist, misogynistic, and authoritarian" for the grand total of 19 euros. In all honesty, what the publication lacks in civility, it more than makes up for in variety (a rather American concept in-and-of itself). 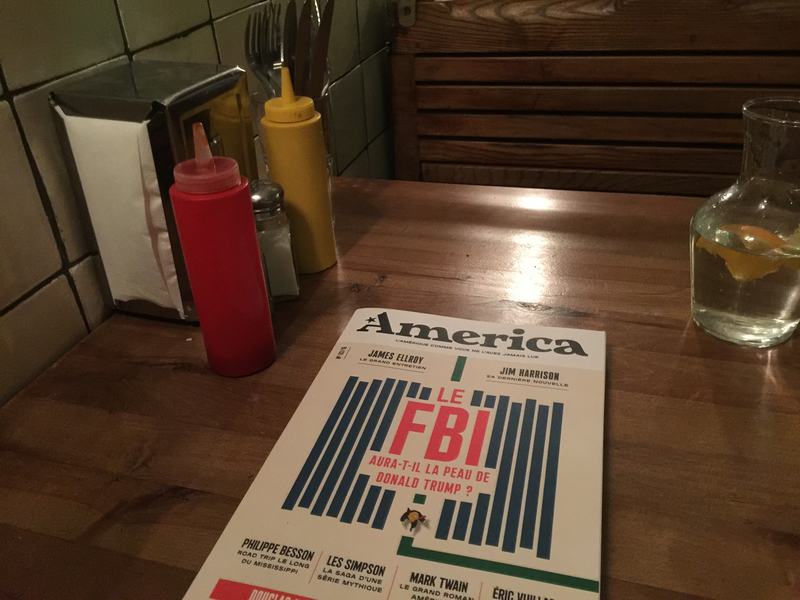 With the third edition of the magazine giving special attention to the F.B.I. and Trump (always Trump), it nevertheless covers everything from Mark Twain to the Simpsons—essentially disseminating all that one could possibly wish to know about the glorious nation. While certain things may simply be lost to translation, like the claim that the Bible Belt is defined by a belief in God but not Elvis Presley's death, there are certain aspects of the magazine that surely stand out for the better or worse from beginning to end. While the chronology of "Three Months in the America of Trump" may seem a bit overkill in driving the point home, surely even French readers will bask in the glow of the selected excerpts from The Adventures of Huckleberry Finn, for: "I see a light a-comin' roun' de p'int, bymeby, so I wade' in en shove' a log ahead o' me, en swum..."
Finally, in the land of the hipster-chic Fleux and monolithic Shakespeare & Co., Pop Market makes its claim to fame through its "special care for inspired people." Proudly displaying its mass-produced, imported products like the Urban Outfitters of Canal Saint-Martin, this concept store serves as a pilgrimage site to all that it is kitsch and basic. From animal-head toothbrush holders and switchblade combs to "un tote bag ideal pour des vies tres wonderful," the vast selection of international brands display the multiculturalism-for-profit that defines the American Dream unlike any other... except for the American flag Easy Rider patch set also sold there. 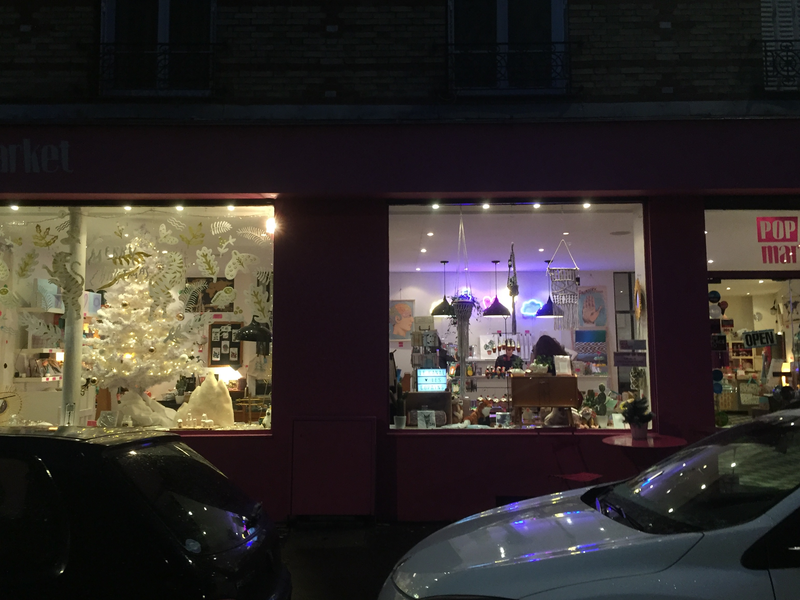 While Paris is no stranger to concept stores, and full of such products at neighboring Bazartherapie and Bibi Idea Shop, there's just something special about this place. Juliet once asked, "What's in a name," but Pop Market's answer is just as bold as its Sunny Life Beach Radio for sale (i.e. Extremely loud and incredibly close). With a florescent-glowing interior unlike any other, stepping into Pop Market is something in-between entering a time machine and a five-year-old girl's imagination (with her parent's credit card on hand). From a global, cultural revolution to a local magazine focused on the latest president and a gift shop sure to inspire the next Buzzfeed home listicle, the universal nature of Americana has made itself loud and clear across the pond. Love it or hate it, Hollywood ads and Broadway posters, fast food on every street corner, and even our very own university all point to one thing: 'Murica. Vietnamese-born and Oklahoma! raised, Henry Nam Hardwick is a (Peacock Plume) award-winning journalist, global communications major, and former seminarian. As the embodiment of the American Dream, Henry believes in "Truth, Justice, and the American Way" (i.e. God, Comic Books, and Baseball).